Needless to say, the official ^IfMine.com public launch at South by Southwest (SXSW) Interactive was an exciting time for us. Austin is quite lively for the week and a half that the conference and festival takes places people were eager to network, discover what’s new, and share their ideas with like-minded individuals. It was the perfect place to reveal ^IfMine to the world, as we’re all about connecting people that know with people that do. 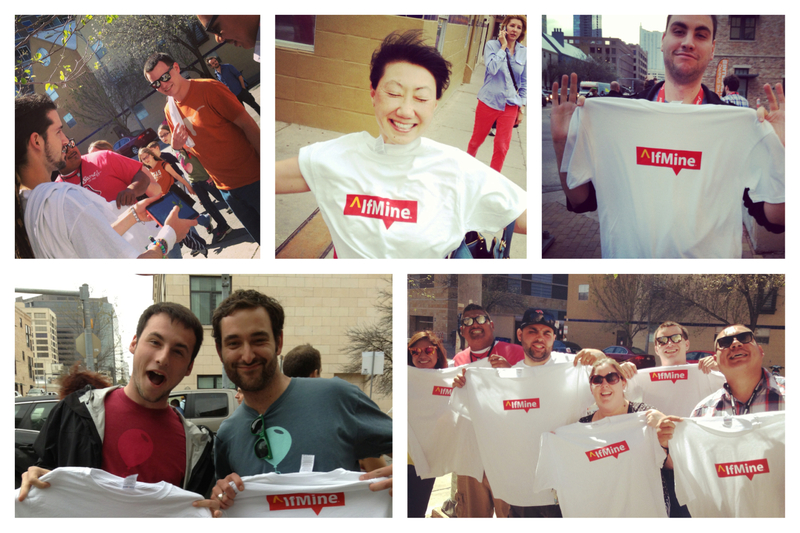 Brian Scavo was on the streets of Austin handing out free ^IfMine t-shirts, and so we’ve chronicled some of the smiling faces that stopped by to grab one. To see how fun our SXSW visit was, check out our Twitter feed from the last few days. Also, check out the photo album on Flickr, Instagram, or in the slideshow below!